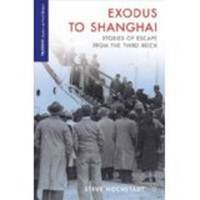 First-hand testimonies are found in a book published in July, Exodus to Shanghai: Stories of Escape from the Third Reich by Steve Hochstadt. As part of the academic Palgrave Macmillian studies in oral history, Professor Hochstadt’s research focused on the odyssey of 16,000 Jews who escaped from Nazi-run Europe and found refuge in Shanghai, China when all other doors had slammed shut. The book distilled the transcripts of 13 narrators chosen from over 100 oral histories conducted with the survivors. A friend pointed out to me that W. Michael Blumenthal who served as United States Secretary of the Treasury under President Jimmy Carter was one of these refugees. He arrived in the United States in 1947 at age 21.
people. 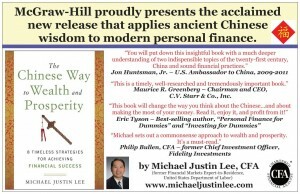 The author is my brother, Michael Lee, and he sent me an early copy. finally realizing that there is much I can learn from my baby brother. many Americans. 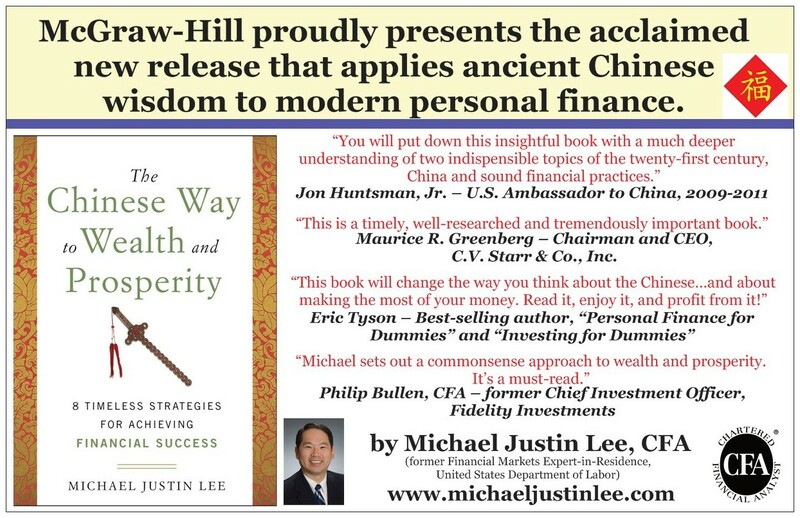 Here’s Michael’s remedy for this malaise: utilize the human capital that is in each and every one of us and apply his eight time-tested strategies for achieving financial success. There are no short cuts and you have to learn to defer gratification. have served the Chinese so well, both in their homeland as in the diaspora. Superior,” (giving advance guard to her book, Battle Hymn of the Tiger Mother) and sparked a public debate about parenting styles. Around the same time, an international study was also published, which is of far greater significance. and math skills of 15-year-olds from public schools in all 34 OECD member states, as well as in a host of other nations. The results were not encouraging for U.S. taxpayers and must have been very disappointing for the U.S. Department of Education. expected. But to me, there was a slightly surprising outcome in the science rankings, in which the United States finished twenty-third. Imagine, the powerful United States, home to the mighty MIT and Cal Tech, ranked essentially in the high minor leagues in the science scorecard. 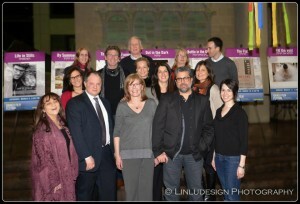 An addition to this year’s Israeli Film Festival of Philadelphia was a showing of the 2007 film, The Band’s Visit, followed by a Q&A with the director, Eran Kolirin. 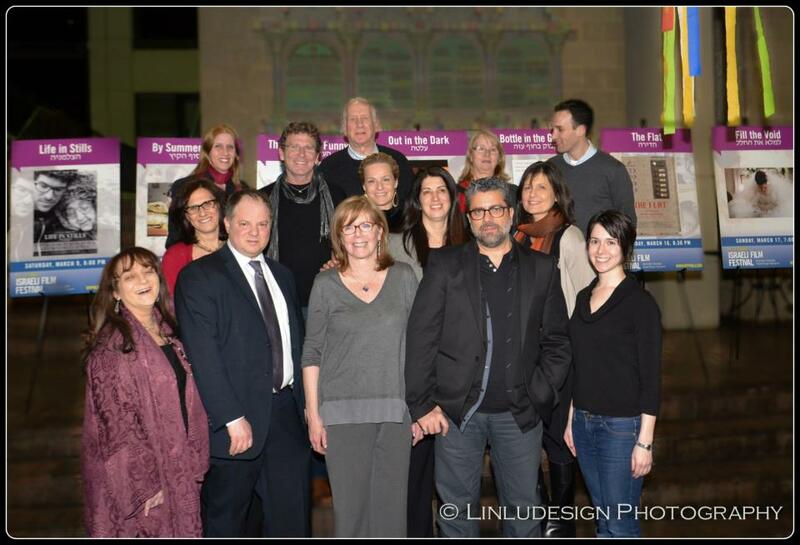 It was held on April 15 at the new home of the Jack M. Barrack Hebrew Academy in Bryn Mawr. An audience member asked why could the characters make phone calls from the public telephone booths without any simonim (Israeli phone tokens)? The director gave both a practical and a poetic reply: the “142″ number sequence allows one to make a collect call without simonim, but it’s far easier to make a phone call without money than to send an Egyptian band to Israel. How was The Band’s Visit received in the Arab world? It was banned, of course, but it did get one screening in Cairo and Kolirin traveled there as the guest of the Israeli embassy. It was a “schizophrenic feeling” for him, as it is a country so much like his own, but still foreign.